Welcome to Starlight Limousines. We provide luxury, chauffeur driven transport to make any occasion extra special, covering Liverpool, Warrington, St Helens & Chester. FREE BUBBLY WITH ALL LIMO HIRE! If you are planning a night out with friends, whether it's for a birthday or any other special occasion, why not start the night off with something different? Starlight Limos are a reputable limousine hire company covering Liverpool, Warrington and the surrounding areas. 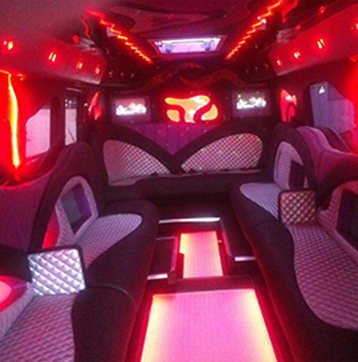 Each of our limos is well-equipped with cocktail bars, CD systems, neon lighting and much more, with free champagne for each booking. So don't hesitate to contact us today to discuss your requirements and see how we can help you to make your night one to remember. Star Light Limos offer affordable limo hire in Liverpool, Warrington and the surrounding areas. For details or to discuss your requirements please don't hesitate to contact us today. © 2019 Starlight Limos All rights reserved.